Call Waiting is the feature that allows you to hear another incoming call when you’re already on active phone call, often referred to as a ‘beep’. 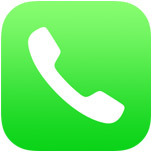 On the iPhone, you can then look at your screen and the incoming callers number or contact details will be shown. Call Waiting is obviously very useful for many situations, but if you’re annoyed with the beep while on a phone call you can easily turn the feature off with an adjustment of an iPhone setting. The change is immediate and will take effect with the next active phone call, the caller will end up directly at voicemail without the beep arriving through to your end. If you’re not a fan of voicemail but want the peace and quiet during your active calls, you can then either mark them as read without listening to them or just bulk delete the voicemails as they arrive. 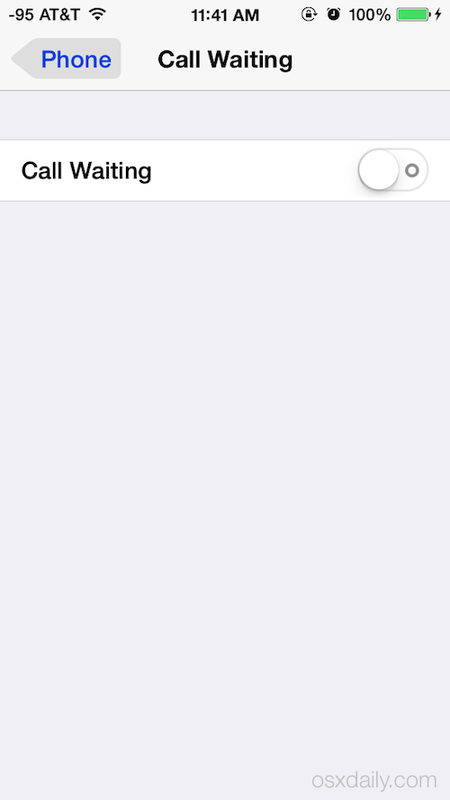 Because the adjustment toggle is in iOS Settings, it should work on all iPhones regardless of the cellular carrier, whether AT&T, T-Mobile, Verizon, whoever, and without having to contact the cellular provider or adjust the accompanying account. You can also achieve a similar result for outbound calls by forwarding your number to your voice mail but obviously that sends all inbound calls to voicemail, rather than only when you’re on the phone. One more reason to avoid Verizon. I was trying to get away from AT&T but found too many disadvantages with Verizon. Too bad Sprint and T-Mobile have such poor coverage in my area. Prefixing the number with *70 works too, at least in the US. This works extremely well. I keep it set to OFF to avoid all the unwanted calls from the pesky Ball & Chain, otherwise known as my wife. She used to relentlessly try to call me when I am on a date with one of my girlfriends. This fixed the problem. You are quite a piece Leafsley!